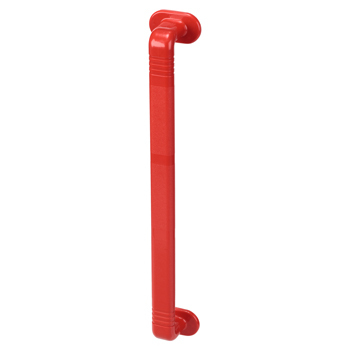 This plastic grab rail in contrasting red colour give easy visibility and recognition, helping to prevent falls. The rail has ribs and a light texture to provide extra grip even when wet and, unlike metal rails, it will be warm to the touch. The all plastic construction is durable in use and has very strong fixing points.